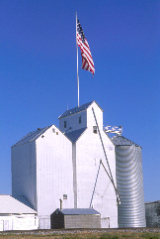 Throughout the grain-growing regions of North America, the small country grain elevator is becoming obsolete as transportation methods and storage needs change. 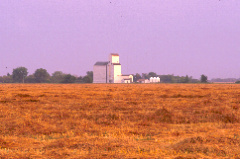 Many country elevators have been abandoned when the equipment fails, too much maintenance is required, or the railroad lease becomes unaffordable. Others are destroyed when there is a liability threat or there is a need for a large, modern facility. As these symbols of an earlier era of prosperity disappear from the landscape, so does their history if there is no effort to document and preserve their records and stories. 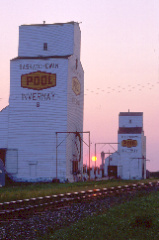 The establishment of the Country Grain Elevator Historical Society is one way this heritage can be preserved. This will be accomplished through a printed newsletter, this website and the acquistion of a country grain elevator in an appropriate location that can serve as a museum-quality interpretive site and archive of documents and photographs. Financial support will come from diverse sources such as annual individual and business dues, corporate donations and private and public grants. These funds will be used to maintain this web site, produce the newsletter, and start a fund to acquire and renovate an elevator. There are no paid employees, only volunteers whose interests include preserving this history. Individual/Family membership is US $20 ($25 outside the US); business membership is $100. All contributions are tax deductible and will be acknowledged in the newsletter, as well as in the building, when that time comes.Click here to view our current member list.